The term “visually arresting” gets thrown around a lot, but I can’t think of any other way to describe Robert J. Flaherty’s Louisiana Story, which was shot by cinematographer Richard Leacock. I rented Louisiana Story and wasn’t expecting to watch all of it when I first put on the DVD. 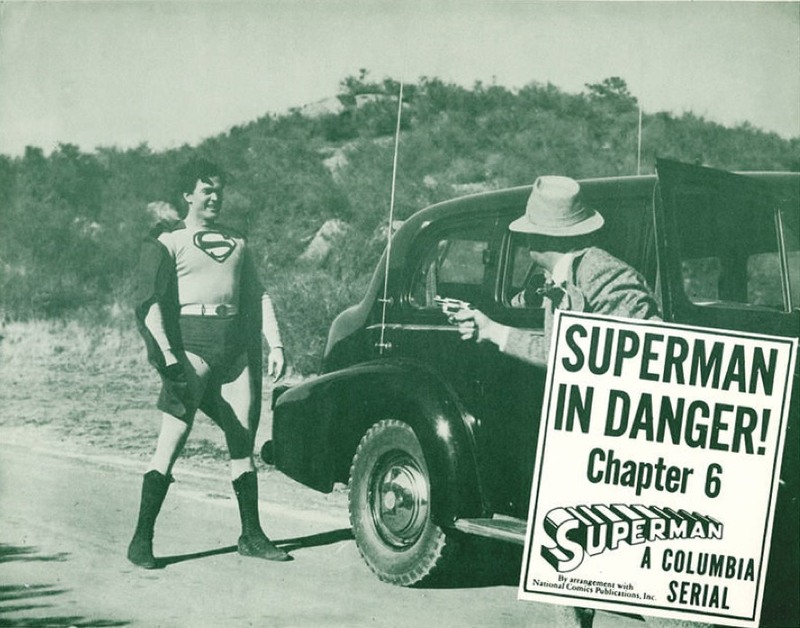 But from the very first shot of the film, I was unable to move, and watched the film from beginning to end. I think a lot of people have the sense that black and white is just a low-budget necessity, and that viewers would be able to go even deeper into the world of a film if only it were in beautiful, lifelike color. But Louisiana Story is beautiful precisely because it is gorgeously unreal. The entire film looks like a photograph by Ansel Adams come to life. Louisiana Story is filmed like a documentary — with all nonprofessional actors — and it’s a shimmering, luminescent, and uncanny view of reality. It follows a Cajun boy named Alexander Napolean Ulysses Latour (Joseph Boudreaux), who is about 13 years old and spend his days in the idyll of the swamp, rowing his canoe, fishing, shooting, and imagining he sees werewolves behind the trees and mermaids below the water. His father is played by Lionel Le Blanc and his mother is played by Mrs. E. Bienvenu. Early in Louisiana Story, the quiet of the swamp is rocked by an explosion from a wildcat oil well. 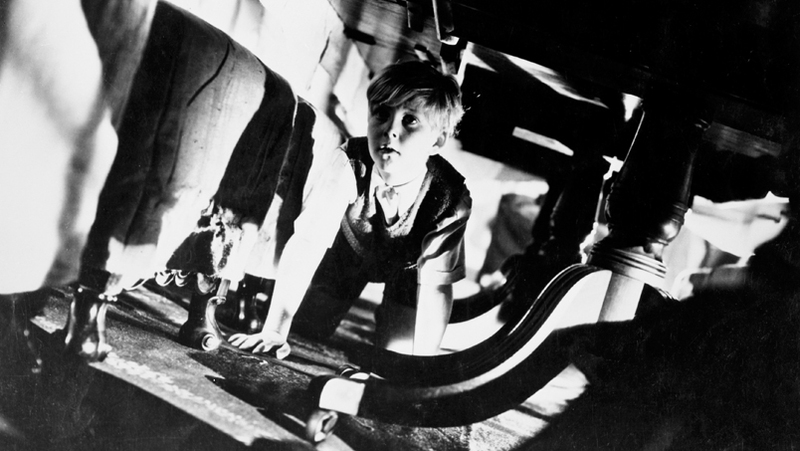 The film follows the boy as he rows around the oil derrick, makes friends with the men who work on it, and whiles away his days with his pet raccoon, occasionally running afoul of alligators. Robert J. Flaherty is best known as the documentary film pioneer who made Nanook of the North (1922) and Man of Aran (1934). 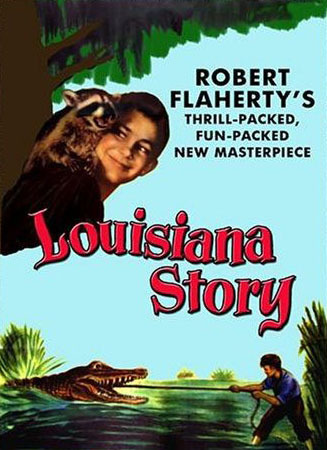 Louisiana Story was Flaherty’s last film. It was commissioned by the Standard Oil Company, which is ironic. The oil workers are all friendly with the young protagonist, and the way Flaherty and Leacock shoot the oil rig is just as beautiful in its own way as the way they shoot the boy’s languorous days in the swamp. But with the constant contrasting between nature and the disruption of nature that the oil well represents, Louisiana Story doesn’t ever feel like a promotion for the petroleum industry. 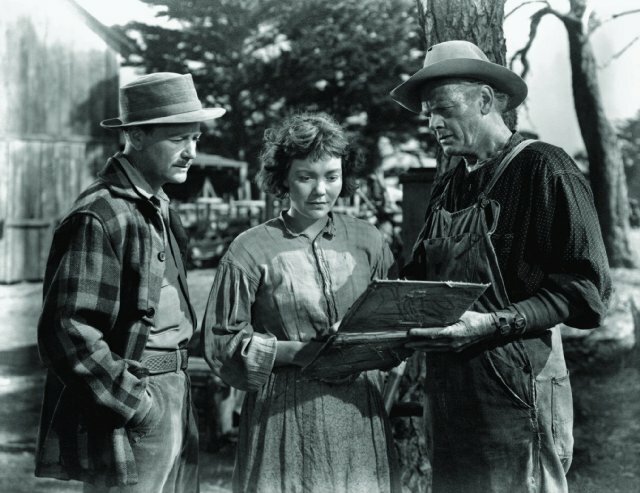 Robert J. Flaherty and his wife Frances H. Flaherty were nominated for an Academy Award for Best Story for Louisiana Story. I’d be remiss if I didn’t mention the brilliant score for the film by American composer Virgil Thomson. In 1949, Thomson won the Pulitzer Prize for Music for his score for Louisiana Story. His score was inspired by a field tape of Cajun musicians and was performed by the Philadelphia Symphony under the direction of Eugene Ormandy. It’s unlike any other film score I’ve heard from the 1940s and is the perfect accompaniment to the poetic visuals. 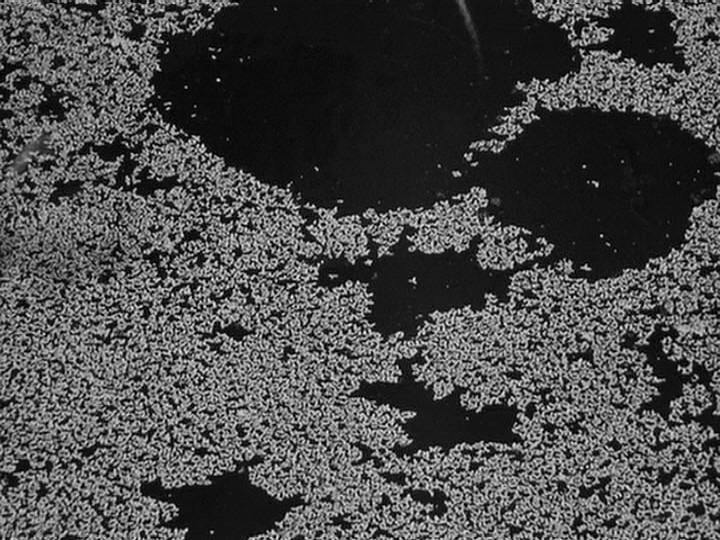 Posted in 1948, September 1948 and tagged Documentary, Eugene Ormandy, Joseph Boudreaux, Lopert Films, Richard Leacock, Robert Flaherty Productions Inc., Robert J. Flaherty, Virgil Thomson. Bookmark the permalink. 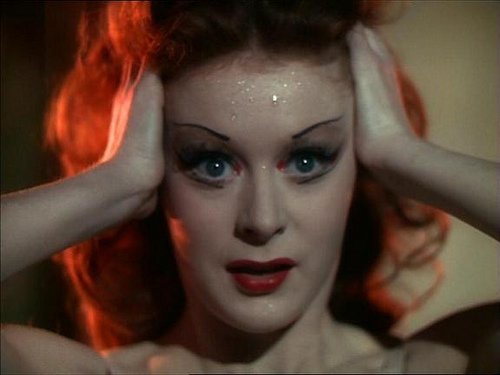 The second feature in our Jean Negulesco double bill is a tad less serious than the first. 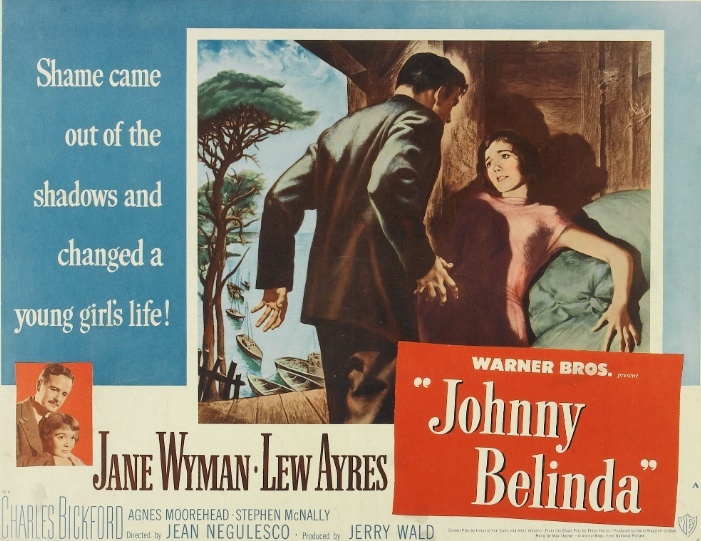 Negulesco’s film Johnny Belinda (1948) is the story of a poor, uneducated deaf-mute girl played by Jane Wyman. It was nominated for 12 Academy Awards, and won one — Wyman took home the Oscar for Best Actress. Road House, on the other hand, was nominated for zero Academy Awards. But they’re both very good films, and watched back to back, they really show Negulesco’s facility with both A-quality material and B-quality material. A truly good potboiler is as hard to pull off as a truly good drama is, and Road House is a truly good potboiler. 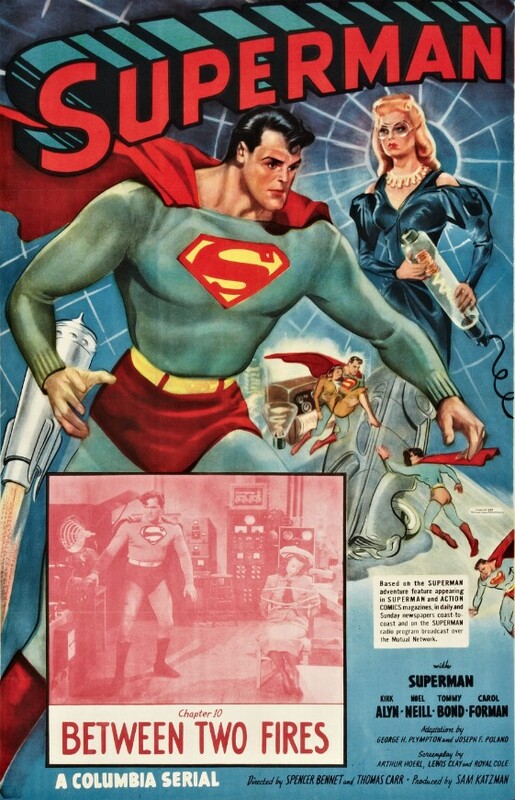 Negulesco knew exactly what kind of picture he was directing, and he directed the hell out of it. The first shot of Lily Stevens (Ida Lupino) shows her with her bare leg up on a desk. She’s dealing cards alone, and there’s a smoldering cigarette next to her bare foot. Lupino may not have been the most impressive chanteuse working in Hollywood, but when she sings “One for My Baby and One More for the Road” in Road House, it’s an emotional scene that tells us more about her character than pages of expository dialogue ever could. 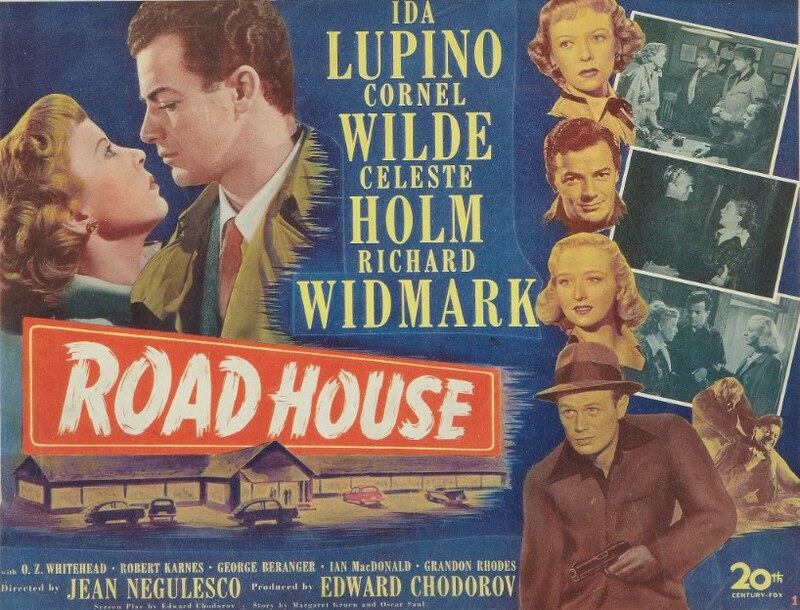 Besides the lovely Lupino and the talented Holm, Road House also features chiseled hunk Cornel Wilde. My favorite scene is the one in which he gives Lupino the angriest, most sexually charged bowling lesson I’ve ever seen in a film. And last but not least, Road House was the third time Richard Widmark appeared on film, and it was the third time he played a memorable villain. He plays Jefferson T. “Jefty” Robbins, the owner of the juke joint that gives the film its name, and his character is a scheming chump who just can’t take no for an answer. Posted in 1948, September 1948 and tagged 20th Century-Fox, Celeste Holm, Cornel Wilde, Darryl F. Zanuck, Film Noir, Ida Lupino, Jean Negulesco, Richard Widmark. Bookmark the permalink. Jean Negulesco’s acclaimed film Johnny Belinda stars Jane Wyman as a deaf-mute girl named Belinda McDonald who lives on the island of Cape Breton in Nova Scotia. Wyman was awarded an Oscar for her performance at the 21st Academy Awards on March 24, 1949. Now that Johnny Belinda has reached the stage, there may not be enough drama left to last through the rest of the season. Elmer Harris has shot the works in one evening at the Belasco Theatre. The mortgage is in it; also seduction, childbirth, death by lightning, murder by shotgun, a snowstorm, a Canadian Mounted in scarlet uniform and a court room scene. As minor diversions Mr. Harris throws in a lesson on grinding grain on a water wheel and a scene with a spinning wheel. Being a thorough workman, he also includes the kitchen stove and the kitchen sink. I’ve never seen the stage play version Johnny Belinda, so I can’t say how sensationalistic or melodramatic it is, but Negulesco’s film version is an excellent piece of work. He took controversial material that could have easily become histrionic twaddle in the hands of a lesser director and used it to craft a deeply affecting movie. Johnny Belinda has a terrific sense of place. Ted D. McCord’s stark cinematography depicts a windswept, beautiful landscape populated by desperately poor, uneducated people. (McCord was nominated for an Oscar for Best Cinematography, Black and White.) Max Steiner’s Oscar-nominated score reflects the mostly Scottish heritage of the people of Cape Breton. Much of the success of Johnny Belinda is due to its actors. Wyman deservedly won the Academy Award for Best Actress for her role as Belinda, beating out Irene Dunne in I Remember Mama, Barbara Stanwyck in Sorry, Wrong Number, Ingrid Bergman in Joan of Arc, and Olivia de Havilland in The Snake Pit. Lew Ayres (nominated for a Best Actor Academy Award) plays Dr. Robert Richardson, the deeply caring physician who teaches Belinda sign language. Charles Bickford (nominated for a Best Supporting Actor Academy Award), plays Belinda’s father, Black MacDonald. Agnes Moorehead (nominated for a Best Supporting Actress Academy Award), plays Belinda’s aunt, Aggie MacDonald. And Stephen McNally, who plays the vicious brute who rapes Belinda, is a despicable villain of the first order. Johnny Belinda received 12 Academy Award nominations — the most of any film in 1948 — but it only took home one Oscar; Wyman’s award for best actress. I think Johnny Belinda is an excellent, well-acted film. My only reservation about it is the use of a dummy in a murder scene that is one of the most egregiously awful things I’ve ever seen. 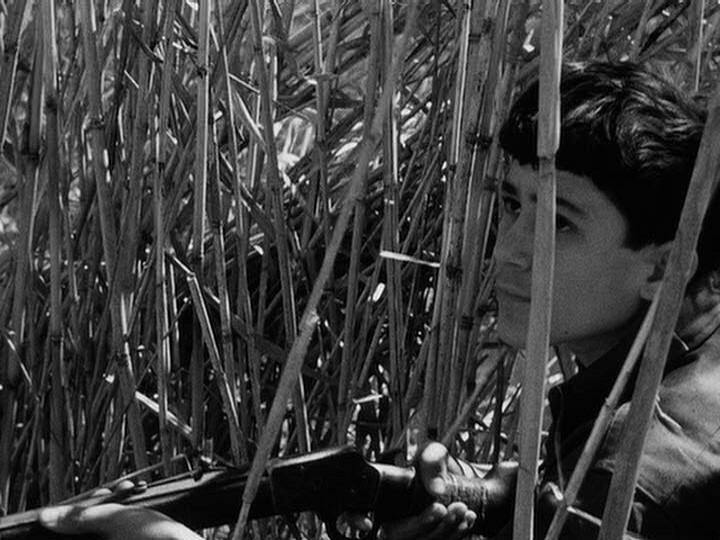 If you can overlook that (and I can … mostly) and accept that its treatment of its themes are of its time and place, then Johnny Belinda is a film worth seeking out. Johnny Belinda will be shown on TCM on Thursday, April 11, 2013, at 2:45 PM ET. 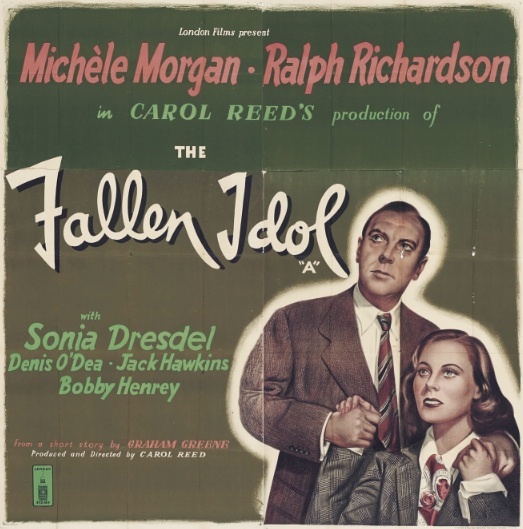 Posted in 1948, September 1948 and tagged 21st Academy Awards, Agnes Moorehead, Charles Bickford, Elmer Blaney Harris, Jan Sterling, Jane Wyman, Jean Negulesco, Lew Ayres, Max Steiner, Stephen McNally, Warner Bros.. Bookmark the permalink. 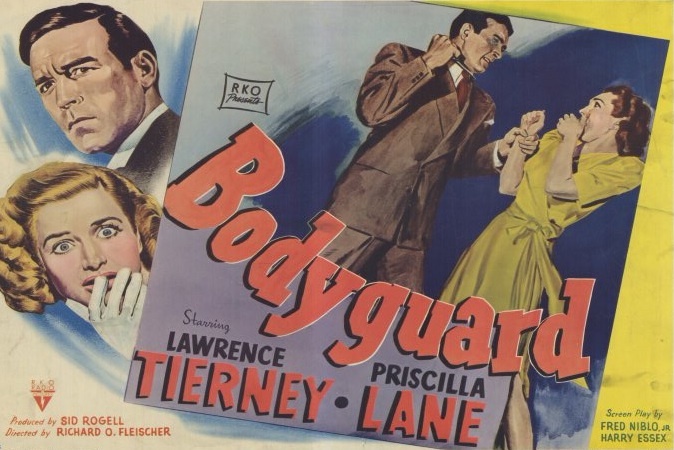 Richard Fleischer’s Bodyguard features Lawrence Tierney doing what Lawrence Tierney did best — knocking down everyone and everything that gets in his way. 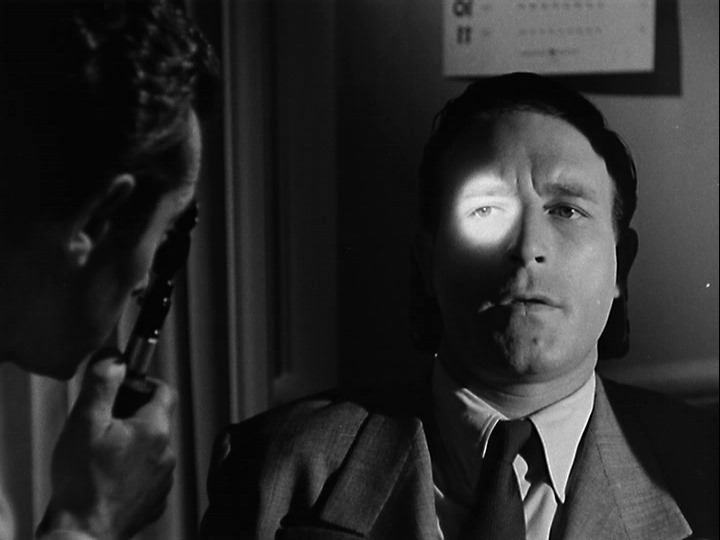 In the first sequence of the film, LAPD detective Mike Carter (Tierney) is reprimanded by his lieutenant (played by Frank Fenton) for using his knuckles instead of his brain. Before Mike even has a chance to plead his case to the captain, the lieutenant informs him that he’s already talked to the captain on Mike’s behalf and that Mike is suspended effective immediately. So Mike uses his knuckles instead of his brain and gets into a glass-breaking fistfight with his lieutenant. When Mike and the lieutenant are gearing up to throw punches, the film cuts back and forth between the two men as they both step closer to the camera, eventually getting so close their noses are almost touching the lens. After Mike is bounced from the force, a man named Freddie Dysen (Phillip Reed) approaches him with a proposition. He’ll pay Mike a $2,000 retainer to act as bodyguard to his aunt, Mrs. Gene Dysen (Elisabeth Risdon). Who can say no to a $2,000 retainer? Well, apparently Mike Carter can. He’s got better things to do, like spending time with his cute blond fiancée, Doris Brewster (Priscilla Lane, in her final film role), and playing the ponies down at the track. But when Mike is framed for murder, he’s forced to get into the action. What do Mrs. Dysen and her meat-packing plant have to do with the murder Mike’s been framed for? And was the accidental death of a plant inspector really accidental? One thing I love is when a B movie gives its peripheral characters interesting lives that in no way advance the plot. For instance, Bodyguard features a scene in an arcade where Mike tries to get the counter girl’s attention as she chats with a couple of sailors. He doesn’t succeed for awhile, and when he finally does, one of the sailors tries to start a fight with him. Bodyguard runs for barely longer than an hour, and has a dense, twisty plot, but it still finds time for entertaining little moments like that. 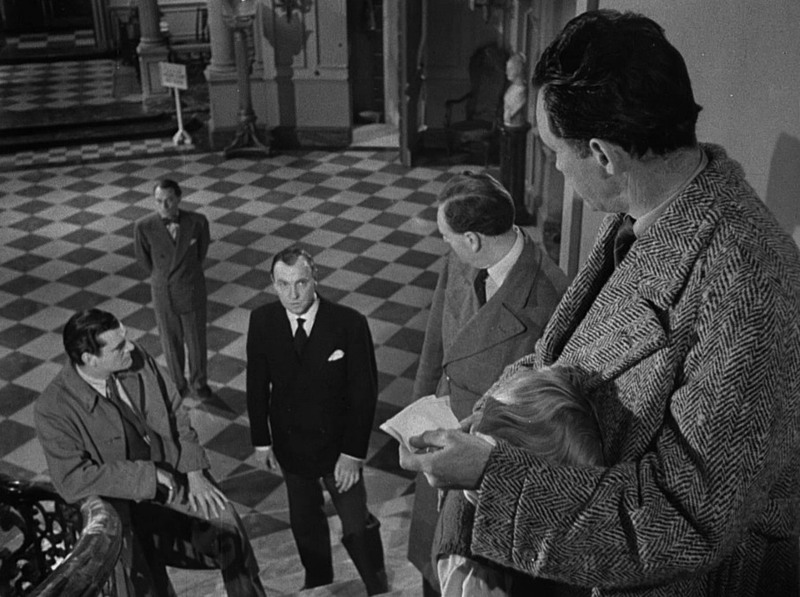 It also features a ton of location shooting in Los Angeles and great noir cinematography by Robert De Grasse. Bodyguard is unmistakably designed to be the second feature on a double bill, but it’s well-made, well-acted, and holds up as superior entertainment. The director, Richard Fleischer, had a long career in Hollywood. He was born in 1916 and Bodyguard was only his fourth feature film (he made a number of documentary shorts in the 1940s as well). To put things into perspective, this is the same man who would go on to make The Narrow Margin (1952), 20,000 Leagues Under the Sea (1954), Fantastic Voyage (1966), Soylent Green (1973), Mandingo (1975), and Conan the Destroyer (1984). *Altman also worked on the script for Edwin L. Marin’s Christmas Eve (1947), which starred George Raft, but Altman’s name didn’t appear in the credits. Posted in 1948, September 1948 and tagged Film Noir, Frank Fenton, Lawrence Tierney, Phillip Reed, Priscilla Lane, Richard Fleischer, RKO Radio Pictures, Robert Altman. Bookmark the permalink.